The mobile market seems to become more saturated with high-end devices with each passing year, and 2016 looks to be no different. We’ve already seen very impressive releases with the powerful Samsung Galaxy S7, and whilst details around the Apple iPhone 7 are still murky, there’s been one company who are seeking to make a big statement on the mobile scene and that’s ZTE. ZTE have been operating out of China since the mid-1980s, but they’ve yet to truly penetrate Western markets. 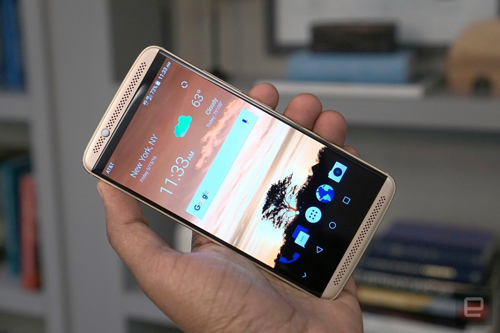 However, all of that looks set to change with the 2016 release of the ZTE Axon 7. This Android smartphone hopes to compete with the flagship models thanks to impressive processing power and arresting looks, yet its pocket-friendly price is expected to gain ZTE extra leverage in the already competitive marketplace. Initial inspection of the ZTE Axon 7 reveals a sleek metal design with a 5.5 inch display that has an impressive 2560 x 1440p quad HD resolution that bursts with colour and will make the mobile device particularly well suited for watching movies and gaming. And it’s the amazing dual front-facing speakers that really stand out on the ZTE Axon 7 that packs in an awesome amount of power for such a compact device. Such features help realize the smartphone’s potential as a good all-rounder for entertainment, and for a great example of how successfully the device handles modern media, check out the VIP baccarat game at Mr Smith Casino where you can live life in style thanks to the way in which the Snapdragon 820 processor handles the game’s refined graphics and high quality audio. Another key feature that really helps the ZTE Axon 7 is the fact that it’s one of the first of 2016’s smartphones to support Google Daydream. 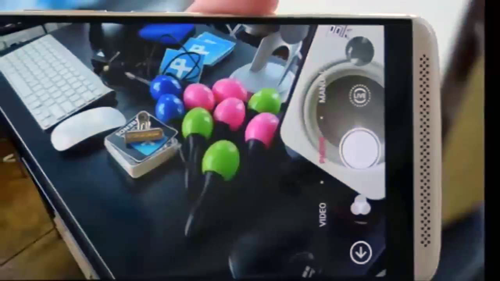 This groundbreaking venture from Google aims to provide a mobile step-up to our virtual reality futures, and when it lands in autumn, it will be expected to provide us with evermore immersive gaming challenges whether it’s VIP baccarat or a visceral first-person shooter. But it’s not just these attention-grabbing features that have impressed, as compared to the puny amount of internal storage in the Samsung Galaxy S7, the ZTE Axon 7 boasts a whopping 64GB to play with that should prove extremely handy whether you’re downloading apps, playing casino games or taking just one more selfie!